Noosphere Engineering School is SPA’s best educational project of 2018! We’ve received great news from Odessa this December. Social Project Awards is Ukraine’s first annual awards ceremony for social projects. SPA awards projects in a healthy lifestyle, medicine, technology & innovations, area development, equality, ideas, culture, ecology, urbanistic, volunteering and education nominees. 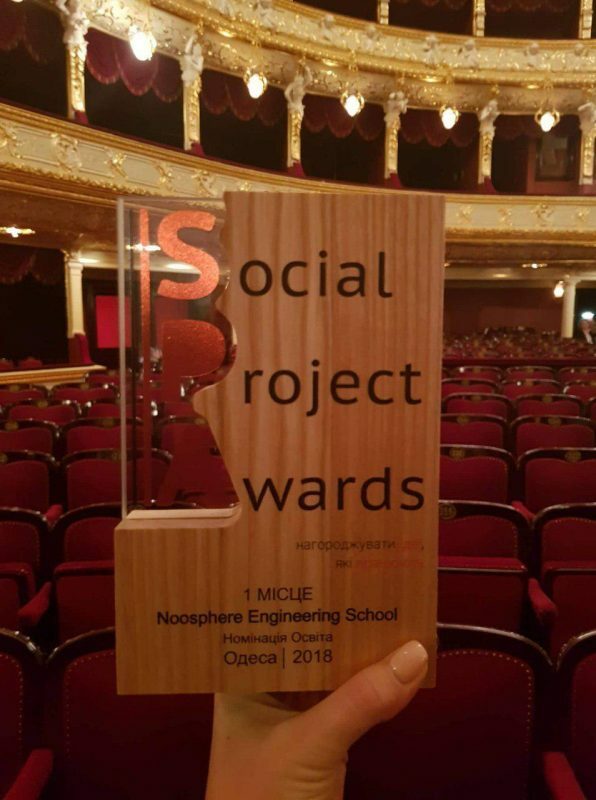 Noosphere Engineering School was honoured to win the Best Educational Project 2018 award! Apart from that, Noosphere Engineering School was included to the TOP 100 most important Ukrainian social projects by SPA in 2018. We’re extremely happy for our work to be noticed. Noosphere will continue spreading knowledge and attracting people to science and engineering. See you at the next SPA ceremonies!